Hello traveler! Our cafe is a place where you can make lots of friends regardless of nationality, experience Korean culture and share you English ability. 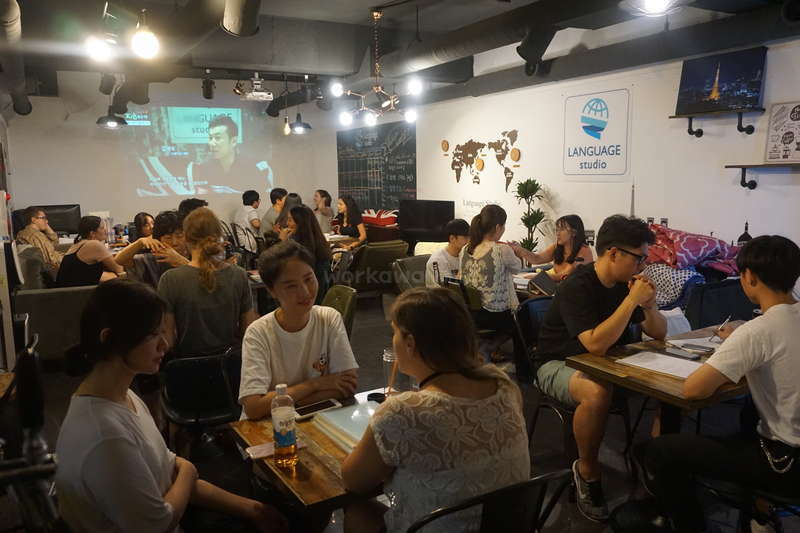 Here, our main goal is to provide a place where Koreans can come over and practice/improve their English skills, meet foreign friends and ultimately make them comfortable having conversations in English. I'm Yoon, the manager here. I grew up in Europe for some time and speak English as my second language. Our studio is a place where people from all around the world gather up and share cultures, exchange languages. We are located near Gangnam station in Seoul. Korea. Gangnam is a very active area full of things to do including shopping, drinking. Plus, there's plenty of amazing restaurants where you can enjoy delicious traditional Korean food. We are also located directly on the Green Line, which is the main subway line of Seoul traveling through not only the most popular areas but pretty much everywhere in/outside of Seoul quite easily. Our accommodation is also located in this area. Seoul is a sleepless city so you can get almost anything you need at anytime without worrying about safety. 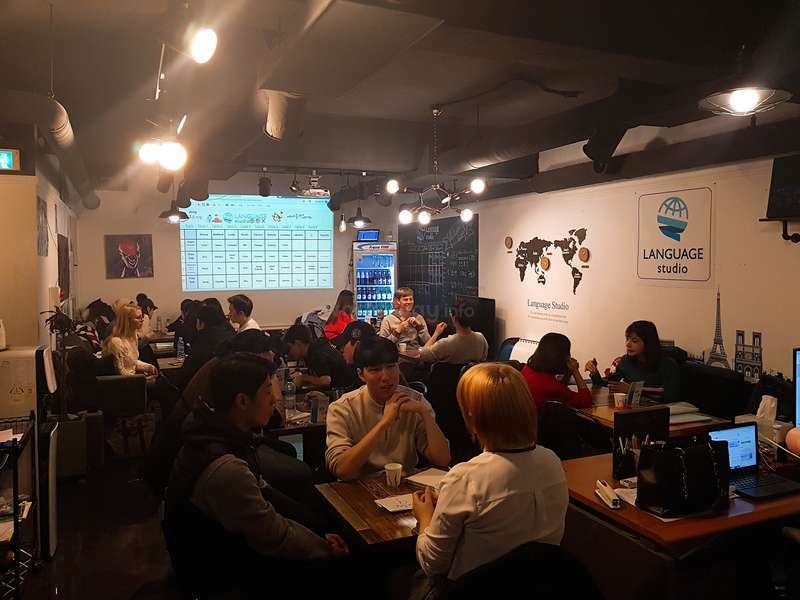 In addition, as a benefit of staying with us, every Wednesday and Friday from noon to 1pm, we're hosting Korean classes for people who have grasped the basics and are looking to practice and develop their skills, but regardless of their level, anyone is welcome. Our community provides a friendly and casual place for Koreans and foreign travelers to meet, interact with and create opportunities to go hang out and experience Korean culture together. Also we occasionally host parties where everyone can get together and have a good time! If you can communicate in English with ease, eager to meet new people and discover new culture, you are more than welcome in our studio. Since both the studio and accommodation are located in the middle of Gangnam, an area where every Korean fun place is crammed and so many and diverse people hang around, you are easily able to access this Korean cultural hub and experience what Koreans do usually and mingle with them. So for sure we provide the best place where you can experience Korean culture. You will learn a lot about Korea. Our students are interested in talking about a range of topics and you really will learn more about Korea than you could in any other place. Gangnam area itself is quite foreign-friendly compared to other places in Korea so you will have no problem while your stay. It's quite important that you have a KakaoTalk ID. It is the most used messaging service in Korea. We use it for all of the communication between staff and volunteers. It will also be difficult to make friends without it as most people here use it over other communication services. Since English ability is really important for our program, if you are not a native speaker of English, it is good to tell us about any certificate or test score that you may have earned. 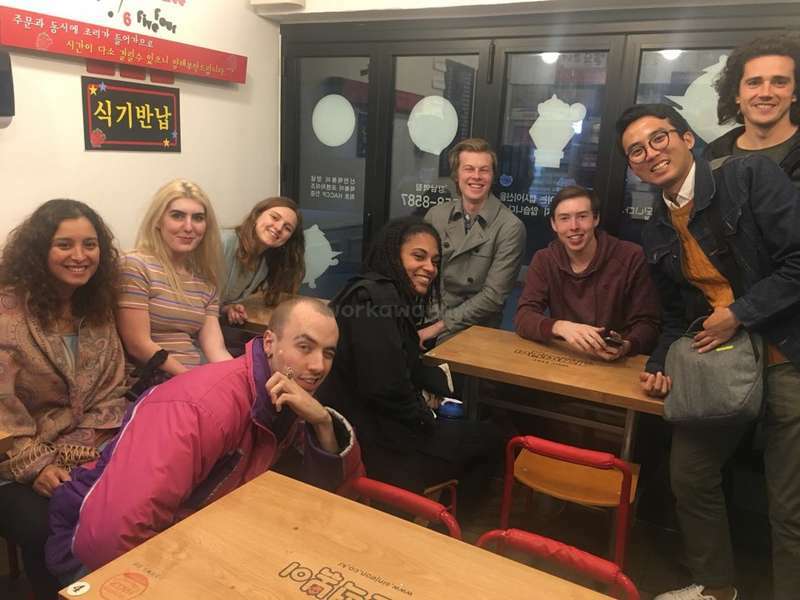 We aim to provide a warm and friendly environment where volunteers from all countries are able to meet Korean friends and share their own cultures, experiences, ideas, and languages. 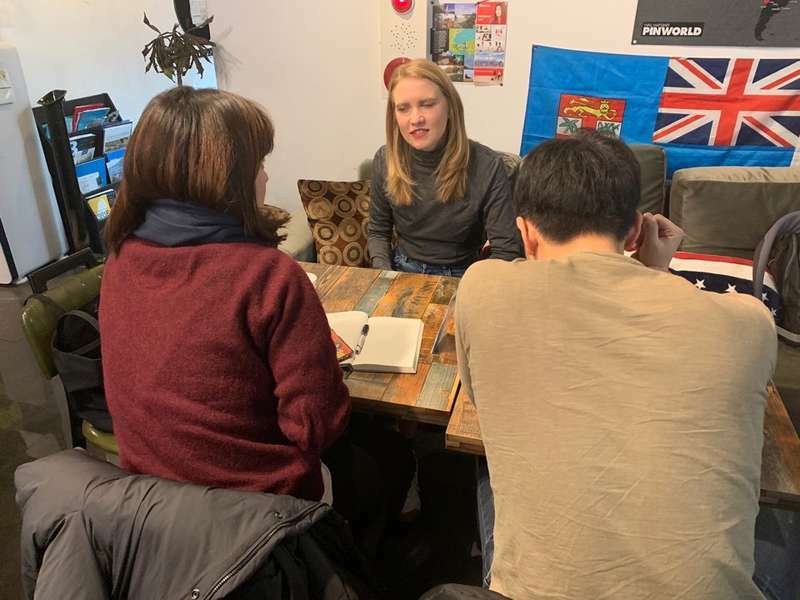 The vibe in the studio is easy-going and informal as volunteers will have English conversation and create opportunities for Koreans to improve English while talking with volunteers. 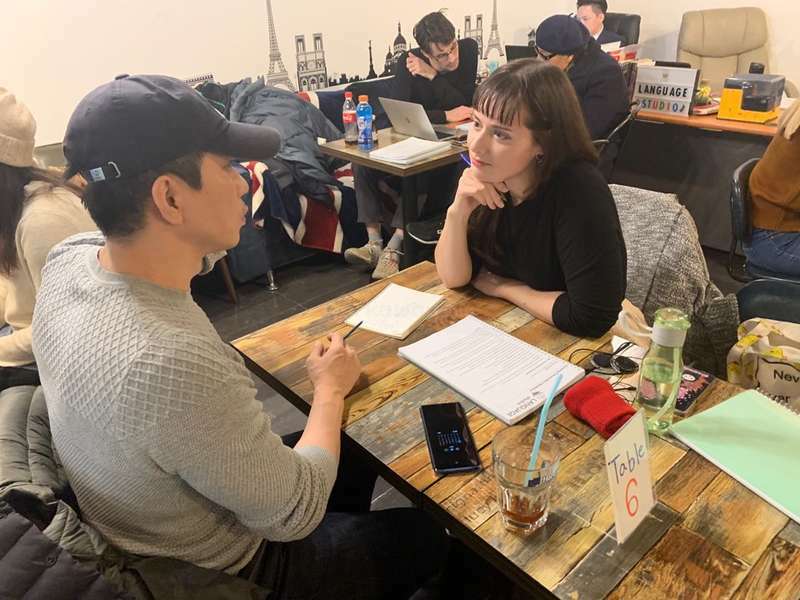 While you are talking with Koreans, you will be expected to do whatever might help them to improve English such as asking questions, giving some conversational expression or idioms, correcting their mistakes and so on. We have a hostel style accommodation. A bed is provided for each volunteer. - Dorm 1 is 5 minutes from the workplace. It holds a maximum of 12 people at one time but usually around 10. - Dorm 2 is around 15 minutes away. It usually holds around 8 people. Both dorms have 1 bathroom and kitchen each. We try to balance genders into each dorm but sometimes when we have more male or female volunteers it is difficult to do so. Each volunteer is assigned to one part of the house to clean each week. It is up to the community of the house to keep it clean and tidy. At least 2 to at most 6 of you will share one room together. Free WiFi, laundry machine, cooking utensils, bowls and dishes, fridge, hair dryer, etc. Shampoo, body wash, and laundry detergent. Please note that if you are applying as a pair, we cannot guarantee that we will be able to give you the same helping days or the same days off. We will schedule you for the first week of your arrival. You will be able to make your own schedule starting from the week after you arrive. You can choose afternoon shift(1:30pm-5:30pm) or evening shift (6pm-10pm). You are expected to help 5 shifts per week. You can choose your day off. 1 day between Mon, Tue, Wed, Thur and 1 day between Fri, Sat, Sun. It was absolutely a pleasure to host such a wonderful person as Madalena. I had a great time at the café! The people I met there were an amazing bunch and the work was quite fair. Speaking to all of the students at the café was very interesting. The accommodation is... not bad, but not the best either. It doesn't get in the way of this being a great place to work at. I felt like the management at the café often tried… read more their best to make the experience good for the volunteers. All in all, it's a place I'd recommend and that I'd come back to. My first experience with workaway and I couldn´t find a better place, even I stayed for 1 month. The manager and the staff members are super nice. Of course living together in a small dorm is difficult, but I got very lucky with my dorm members. We became very close like a family. I can tell, it´s probably one of the best time in my life to share… read more the experience in this studio. I also made a lot of friends with the volunteers and with guests. The work is pretty simple and if you like to communicate then this job is probably perfect for you. I really want to thank everyone for making my very first impression of korea so beautiful. I will cherish these memories forever. My stay at the Gangnam dorm was overall a very good time. Even if it is quite cramped and we were plagued with new problems ever so often. The work itself is quite doable, often feeling tiring but also at times very insightful as you get to talk to and interact with interesting people. But since it only goes for 4 hours a day 5 times a week you… read more can get through it without too much hassle. The people I met here and the friends I made here have were all very nice. Even if I arrived alone in Seoul, it did not feel like I was traveling alone. Hopefully they can sort out the issues with the dormitory soon, my only real gripe with the whole package. I was so grateful for this amazing place. The area is amazing and you get to meet lots of Korean people, culture, and more. The people you share with are from all around the world and the experience it's just unique. I truly recommend this Host. Would love to stay with them again. Thanks, guys for making my experience awesome. It was such a pleasure working with her. I can wholeheartedly say every single person who met her loved her character. Eager to help people with their english, patient with beginners and always trying her best to keep the conversation interesting. Personally one of the best workawayer we had. Everyone would be happy to work with Grace and be… read more greatful for her enthusiasm for helping out people. It was our pleasure to have Jacopo with us. Very good with people, eager to help them with there english, hard-working and punctual. My only regret was not being able to perfect his accomodation. Any host would be glad to have him as a workawayer and will for sure enjoy his positive energy and cheerful character. As this was my first workaway, I had no idea on what to expect from this, but I was pleasently surprised. The staff was really nice, I really loved the work and the students were the cutest thing ever! The only problem was the dorm (Gangnam dorm) where I had to stay, as the forniture wasn't enough and for sure it wasn't made for 8 people. Another… read more thing was the organization, as some times newcomers would come without notice, or other times we wouldn't have bread or rice for some days as they didn't order it beforehand. The work in itself was really nice, if you like to talk and learn about new cultures it's the perfect job. The students were the nicest people I've ever met, they gave me many gifts and they were always willing to learn everything. All in all, the experience was really nice and I met many friends, but I think the management should do something to make the living conditions better for the volunteers. It was my very first workaway experience and i couldnt be more lucky, the place and the staff were amazing, i made new friends and had some much fun, the job is pretty simple and the crew is always helping you in whatever you need. The working hours are relatively shorts, so i could explore around Seoul. I stayed for 1 month and a half, during… read more this time i was able to understand a little bit about korean culture. I first came to this studio in April and May of 2018 and really loved my time here. I actually came back a second time in the winter. If you want to meet Koreans and other travelers from around the world, this is the place to do it. The "work" itself is super easy, literally just talking to different people for 4 hours a shift. There really is no… read more better way to learn about a culture than this. I spent about 1.5 months here last summer! As my first Workaway experience, I was definitely wary, but it turned out to be such a rewarding experience. First of all, the living situations. I stayed in Dorm 2 (about 15 minutes walking from the studio). During my time there, it was mostly all female, and I became super close with those girls - we… read more still have a group chat, haha. It kinda felt like summer camp because of the bunk beds and all. Considering that I never spent that much time at home anyway (between teaching and sightseeing), I didn't mind the lack of privacy or somewhat cramped spaces. Oh, and Kay was always super helpful with getting us what we needed when we ran out of rice, toilet paper, ramen etc. There was only one time that we were out of rice for a couple of days, and I think that's because they ordered online for an change instead of going to a physical store. As for teaching at the cafe, it was quite fun overall. I recommend consistently working a similar schedule during your Workaway - then you'll be able to see the same students from week to week. I always felt validated in my work when I saw the progress that a student had made. It also cuts down on small talk if you're meeting the same students. I also recommend chatting with the students outside of class, if you're comfortable! I met many lovely people who were eager to show me around Seoul or at least grab food and drinks together. The work atmosphere was quite fun when I worked there. Kay and Young, as well as the younger Korean assistants, were always eager to chat. Young would always chat to me in Korean after he learned that I was studying, haha. I also got an opportunity to work at the affiliated language cafe in Chuncheon (Gangwon province). It was so enriching to see a different part of South Korea and meet people there! Highly recommended!!! Toto almost didnt stay with us due to issues with availability but we were so glad that finally we could offer him a spot! His one month trip turned into 3 months with us and we wouldve happy to extend him even more. He was perfect with our students and really gave them a friendly experience. He made many friends with students and some people even… read more came just to speak with him! He was great with the other workers and became friends with long term volunteers and the new ones that were arriving. We would be more than happy to have him back again in the future! Safe travels Toto. Almost 3 months, my time spent here was such an amazing experience and made many friends along the way which I would never forget! Kay, Sam and Mark were both very friendly and helpful, and if you ever need anything, they were quick to help you out! By the way, thank you all for throwing us “Halloween Party”, you guys know how to throw a great party! And Sam, I would never forget the stage you were in later that night ^^ Cheers to all, you all legends! I would highly recommend this place so come on down and check it out for yourself! Artur was a fantastic volunteer for our place. We were so happy to have him with us, even if it was for quite a short period:( He was great at the job and made many friends with students and volunteers alike. He was very easy to work with and open minded for all situations. We would love to have him back again in the future and would highly… read more recommend him for future workaways! Volunteering at this studio turned out to be way more rewarding and fun than I had expected, so I can't recommend it enough! The set up is clear and well managed, in a relaxed and cozy atmosphere. The students were absolutely lovely and took me on an unforgettable journey into their lives, views, dreams, hopes and fears. They even taught me a… read more little Korean, and some bits of Korean history - not to mention the meals out and nore bang (Kareoke) nights! The minute I left Seoul, two things became clear: 1) I was going to miss it big time; 2) the good memories of this experience were going to follow me around the world. We were beyond thrilled to have Andrew with us. He was one of the best volunteers we have ever had and was absolutely brilliant in every aspect of what we do here. Super easy to work with and really lovely guy. We really wished he could stay longer with us and without a doubt we will always have a spot for him in the future if he wants to come… read more back. Thank you so much Andrew! The whole set-up here is brilliant and is run by a fantastic management team. I loved my time working with lots of wonderful Korean users of the cafe and with the superb people who volunteer here. This was a great opportunity to learn about the fascinating country of Korea, its people and its culture. It was hard to leave here, especially after… read more such a short time. Thank you to everyone. This is an amazing workaway experience which I highly recommend to everyone. Additionally, if this is your first workaway then this is a terrific place to start. Thank you! Miriam stayed with us for 2 months and it was really nice to have her around. She fit in really well with the other volunteers and as she said herself she really felt like part of a family to them. She was also great on the job and made sure she did her best with the students even at difficult times. We would gladly have her back! I spent two great months at this language cafe. I got to meet so so many interesting and fun people through this workaway. For one you will be living together with people from all around the world and if you don't mind living with many people in a little space you will be able to have a good really good time. Even though the accommodation itself… read more could have been nicer, I really felt like these people that I lived with became my little family in the midst of Gangnam and that wouldn't have been possible without this job. The work itself was just the right thing for me since I love getting to know people in general and especially the locals. So I was also able to make Korean friends as well which I really appreciated. On top of that the work schedule is quite flexible so you get to plan other activities in the city. After a while talking to people was becoming repetitive in topics but the managers changed the procedure a little bit so there would be a mix between freely talking and discussions about certain issues from a textbook. I'm really glad I found this as my first ever workaway and was able to have the best time of my life in a city and country I have never been to before. Volunteering at the Cafe is very straightforward. Shifts last 4 hours, either 1-5pm or 530 to 930pm. Basically you will have one to four students at your station each hour and you will engage in conversation to improve their English skills. Also, once a week you are required to hand out flyers for 30 minutes or do a 1 hr lunch shift. In exchange… read more for your help you will be given a bunk in one of two apartments run by the language cafe. Very basic food items like rice and ramen are provided-though often fall short of being enough as does toilet paper and garbage bags. Volunteers are required to clean apartment weekly and show the manager via a text picture. Basically you are given a free dorm bed in the Gangnam district with a kitchen. The work is not hard but can be at times exhausting speaking for 4 hours especially with a beginner speaker. We stayed for two weeks and met a great cast of volunteers-some of whom were staying along for months. The owner and manager at the cafe were friendly and have a separate manager to help with running the volunteers-which there are a lot of..between 15-20 volunteers. The two apartments are a bit small for the amount of people living there, and bathrooms need some maintenance; there's really no comfortable common area to relax. A better accommodation would make this a better experience. We rarely ate any of the provided food-but shopped for and cooked our own or we ate out. Would recommend this experience if you want to spend some time in Seoul and stay on a budget. For some culture you'll need to get out of Gangnam and see other parts of the city-which is well connected by public transport. We were very happy to have Carlie with us here at the cafe. She was always punctual for work and we understand that it does get difficult at times with so much talking but she stayed composed and enthusiastic with our students. There were a few problems with her dorm during her stay and I apologise that they took longer to fix than I would've… read more wanted. Her behaviour was great at all times whilst on the job but, there were a few issues behind the scenes with the relationship between her housemates that only became apparent to me after her stay. These would've been addressed at the time should I have know. We would of course have Carlie back again with us, she was very popular among students and it was nice to have her around! This was my first workaway and I must say, I was pretty sad saying goodbye to this awesome cafe! and I stayed for about 6 weeks and the work was never overwhelming though keeping conversation with low level English speakers can be tough at times. Because of this I definitely feel like my conversational ability has improved a lot. I got to meet a… read more lot of really interesting people and learn about their lives, opinions, and experiences, even my fellow volunteers were all friendly and interesting people who were willing to hang out with me outside of work. The work is very flexible as well! My brother came to visit and I got four days off one week just by adding an extra shift the week before and one the week after which was very kind of the management to allow. Though there were some problems with my dorm (the space was kind of small for 8 people to live in, the bathroom light went out and wasn’t replaced for about a week, we had no rice for a 4 days, ran out of toilet paper often lol) I’m very grateful for everything. I hope I’ll be back with you guys sometime next year if you’re willing to work with me again! Riccardo was a really great member of our team. He always was happy to complete the work and got along great with the students. He was really open minded and calm in all situations. During his stay we have a unusual period where there were quite a few problems with the accommodation but he kept calm and did not get angry about it. He brought a… read more great and relaxed atmosphere both on the job and whilst hanging out. We were very happy to have him here and we would be happy to have him again! I've spent 2 months at the cafe and this was my first workaway experience. I'm satisfied with every aspect of my staying! The type of work allows you to meet easily many korean people and hang out with them and/or the other volunteers. The staff at the cafe was always nice and ready to help you with any kind of possible problem! The workload was… read more really fair, you have plenty of time to explore Seoul, hang out at night and make your own plans. The accommodation is more than sufficient if you are used to share a place with other people and it's also really close to the workplace and to the subway station. Sharing the accommodation also allowed me to make many friendships and create a lot of wonderful memories! This was one of the best experience of my life and I would highly recommend it to anyone who would like to experience life in Korea! Francesca was an absolute pleasure to have with us. She was wonderful both in and outside the workplace. She was always really enthusiastic about the work and was happy to speak with our students. She was a really valuable member of our cafe and we would love to have her back in the future. I will be honest with you all. Whoever you are and wherever you are out there, if you are interested in knowing Korean culture and experience it first hand, then, this is an excellent opportunity to do so. You will have the possibility to know Korean people, their story, their interests; but you will also share all of this with people from all… read more over the world (which is already a huge gift by itself). If you want to travel, you might as well make the experience worthwhile and get as much as you can out of it. When I arrived, I was jet-lagged, the air was extremely humid and I didn’t really know what to expect. Then I met Kay and my co-workers and I had my first shift. That’s when I realised how glad I was to be there. The atmosphere was chill and friendly and the managers were helpful and available when there was an issue to discuss. The schedule was neat and balanced and it gave me the time to do the things I wanted to do during my period of stay. I am so sorry it took me so long to write this feedback, but here I am finally saying goodbye to this summer. I can still hear the laughers and conversations in the Cafe and I can still feel the hot (and extremely humid) breeze on the riverside during the nights out with the others. 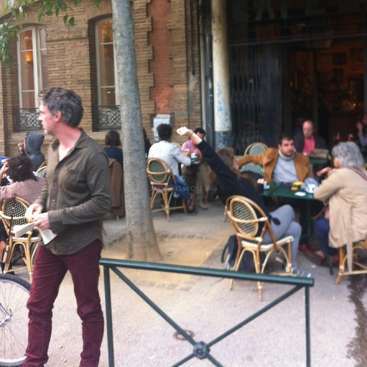 None of these memories would be real without the Cafe and its purpose of connecting people and cultures. So, as reductive as it seems, I just want to wholeheartedly thank all the people I’ve met along the way. From the managers to my co-workers (almost family members) and to all the kind Koreans out there who allowed me and the others to have a 360-degree experience of Korean society in exchange of meaningful conversations, thank you very much! Thank you Jessica! She was a wonderful volunteer to stay at our Studio and we were sad she couldn't stay longer. Hopefully she decides to come back and is welcome to do so at anytime! The café was my first workaway experience and I can say that it was one of the best experiences that I ever had until now and I will always remember! Unfortunatelly I only stayed for 3 weeks so I definitely want to comeback someday. 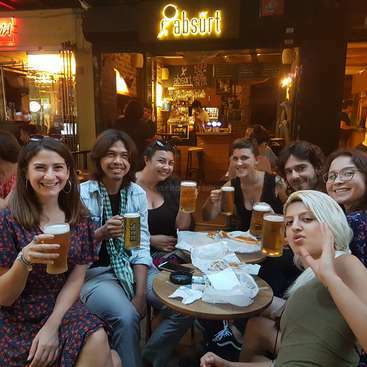 The café staff, the workawayers and the students were such amazing people, the work is very easy and gives you the… read more liberty of doing your own schedule so its possible to plan ahead where to go and visit. Also I had to stay an extra night because my flight was cancelled due to a typhoon and they let me stay without a problem! Thank you so much for everything during this 3 weeks and wish you all the best !! Thank you Utku for being such a great volunteer! Utku was great with Koreans and was very popular among his fellow volunteers. He created a very friendly and close atmosphere with everyone. We wish him the best of luck in the future and hope to possibly see him again at our Studio! Thank you so much for giving me this unbelievably amazing experience for almost 2 months! Really appreciated. I made a lot of friends and I am still in touch with them. We are about 15 volunteers coming all around the world and sharing the same world view. Everybody speaks good level of english and we all love… read more traveling. Plus, the cafe really gives you the chance to improve your communication skills. After a while, you realize that holding a conversation for 50 minutes is really adding you some value on your social skills. Doing it for 4 hours in a row is even better! I've seen so many different people and incredibly various stories about people that I could have never seen if I would be doing some other workaway job. That's why I love this cafe. In addition, you pick your working shift which is either in the afternoon or the evening. It gives you enough time to travel around the city or explore some touristic stuff. Other than those, I would definitely recommend this job by its giving you the opportunity to make beautiful memories with korean and international people! I would definitely come and say hi if I ever come to Korea again! Thanks for the beautiful memories! I feel so grateful! Joe was a pleasure to have at our studio. I was sad that I didn't get to say a proper goodbye to him before he left. He was very relaxed with everything whilst keeping a great working attitude. He was a great person to be around both in the Cafe and outside. We would have him back again without a doubt! This was an absolute fantastic experience! And I say experience because to me this was not a job nor work for what you come out with. You learn an immense amount about the Korean culture by speaking and helping them out with their English language skills at the cafe. On top of that the other folks that you live with (can be a bit busy/crowded… read more sometimes, don't expect it to be posh, just relax a little) and help with at the cafe just add onto this. It was my first Workaway and I can't be more thankful to Kay, Sam, Peter, and the Boss man for allowing me to be apart of what they are doing. The schedule is very well laid out in the week prior to your sessions with you picking the time slot you want (day or evening). It's very easy on a daily basis and very rewarding. In addition adding plenty of time for you to explore the wonderful world of South Korea. You learn just as much from the people you talk with as they learn from you during the sessions if you approach it the correct way. I could go on and on about how wonderful it was, but I won't, don't hesitate just do it. Thanks again to everyone and hope to see your faces again somewhere down the road! If I'm honest, I was really nervous when I first arrived, but after just a day I was comfortable. I really can't recommend this cafe enough. They helped me acclimate to the Korean way of life, and when I go back to Seoul, I hope to stop by and say hello! The cafe was a wonderful place to work. The students were so nice and loved to discuss… read more cultural differences, I had many meaningful conversations with the students. The other volunteers are really from all over the place, and I got really close with many of them. During my stay, I even traveled outside of Korea with some of them, and plan to visit many of them again in the future! The manager, Kay, often had recommendations for things to do around Seoul and was pretty easy to work with. The work itself was pretty easy and the hours are great, the way the schedule is set up can sometimes allow for short two day trips throughout Korea. The location is amazing with a subway station just steps away and a nice restaurant and bar area less than 10 minutes walking. Since you often see the same students, it was easy to make friends with them and go out to a meal before or after work, or even on your off day. I was really bummed that I had to leave, even after being there for so long. The experience was definitely something that I would recommend to anyone who wants to make friends with Korean people as well as other foreign volunteers while experiencing Korean culture first-hand. I couldn’t recommend this café enough! I met so many genuine and nice people, both students and other volunteers. I instantly felt at ease there. The managers and the owner always did their best to make sure that everybody was happy, and the weekly meetings enabled us to let them know about issues we had or suggestions for improvement, and our… read more opinions mattered. Also, if I had any questions or needed help with something, they always took the time to help me out, and I’m very thankful for that! The work itself is quite easy, and I loved the fact that we got to choose our own schedule. Through the students you get to know so much about the Korean culture and their everyday life, so the conversations were never boring. Also, I made friends with some of the students and they were all very lovely and showed me different areas in Seoul, and they always brought me to amazing restaurants with the best food! The location of the café is very convenient in my eyes, and my dorm was located close to the subway station, so it was very easy to travel around Seoul and discover the city. Gangnam is also a great area with a lot of shopping opportunities, restaurants, and cafés, and you can always find something to do. If you want to explore Seoul, learn about the Korean culture, and make friends from all over the world, I would definitely recommend this café! Fabi stayed with us for 3 months and was a very valuable member of our Cafe. She was very friendly to both Koreans and other Volunteers. We would love to have her back again in the future! Sam was a great volunteer at our cafe! He always made sure that he did a really good job. He was friendly with all the volunteers and was very easy to work with. We were very happy to have Sam at our cafe and we would love to have him back again! What an amazing experience! I spent 3 months here in winter and it was easily one of the best times of my life. I met so many amazing people, both Korean and fellow volunteers. You will learn so much about Korean culture and experience it first hand. The cafe is situated in one of the best locations in Seoul. There is an abundance of shops,… read more restaurants and all the transport you need to explore different parts of Seoul and also venture outside to some lesser travelled locations. If you are interested in learning deeply about Korean culture and making lots of friends to experience it with then this is definitely the right Workaway for you. Such a unique experience I couldn't recommend more strongly. Adele was the perfect worker for our Cafe! She was super friendly and got along perfectly with the other volunteers and Koreans. She always was on time for her shifts and did a great job. She was a pleasure to have here and we would have her back again without hesitation! This was my first Workaway experience so I was quite worried at first, but I soon realized that I had nothing to worry about! I'm glad that I chose the Studio, because I had a wonderful time there. I got along with the other volunteers very well, and everyone made me feel welcomed. 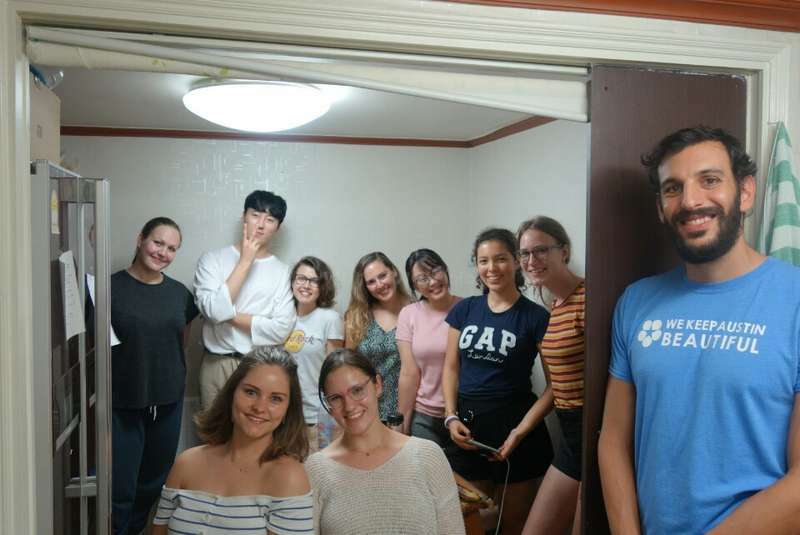 The shifts were well organized and the work didn't feel too… read more tiring; I also had the chance to meet a lot of Koreans or other foreigners and to make a lot of new friends. This was not only my first Workaway, but also my first time traveling abroad - and I have to say that I am so incredibly grateful that I ended up here in Gangnam. This experience changed my life. I met so many amazing people from Korea and around other parts of the world. I made life-long friends and life-long memories. The owner and manager are… read more so helpful and kind! I was so nervous about traveling, but they immediately made me feel welcomed and safe. If you have any questions or concerns they are always available to listen and will do everything they can to help you out. Thanks to this Workaway, I am already making plans on returning to South Korea. This truly made South Korea feel like my second home and I already feel homesick. She is one of best helpers we have ever had here among whom we have worked with through workway. She is very energetic and loves to communicate with locals and help people improve their English skills. And she respects her colleagues and gets along very well with them. Everyone who worked here with her loves and still misses her. She had never… read more been absent for her job and always been so responsible that when she left we even offered more stay with us. I highly recommend any host here her as a best volunteer. She was one of the best volunteers here and knows how to cooperate with people. People here have loved her and liked to spend time together with her. She was always on time so that we could trust her in anyway. We are very grateful for her help. I spent 2 months at the cafe and it was amazing! I just wanna say thanks to all managers and the owner, because of you I got this opportunity to experience and explore Korea. The work is really nice and pretty easy, also some of students became my friends:)) Other volunteers are very cool and interesting people, we used to hangout together a lot… read more and got close to each other! I really enjoyed this time and I'm gonna miss this place, i would definitely come back again! Tasmin stayed and helped us for a month. While she was staying she was very reliable and resposnsible for the job here. She is very good at collaborating with people and making a good harmony with her colleagues and locals here. Since we are runinng culture share center for vounteers being open to locals is the most important character and in that… read more way she was one of perfect staff when she was here. I would highly recommend her to any one who is thinking of hosting her and I am sure you won't regret it. The cafe was my first workaway experience. On arrival I was quite nervous but instantly felt calm when I was greeted at the studio and taken to my dorm. I met the nicest people foreign and Korean and within the space of a month felt completely at home in Seoul. I enjoyed the experience so much that I will be going to the cafe in Busan! Best way to… read more learn about Korea and make Korean friends! This was one of the best workaway experiences I had during my time traveling. This place in Gangnam is an excellent places to help; with flexible hours and an almost endless supply of interesting people. If you can handle living with a large group of travelers, then this is an excellent choice for your stay in Seoul. - You are provided with food. - Management cares about the staff, living conditions and work done (weekly meetings). - Material is provided that can aid you during… read more conversations. - In general the average level of English is high in Gangnam compared to other places I've worked. It was so nice for Cem and me to work there. We got the chance to make a lot of new friends whether Korean Netizens or other volunteers. The work wasn’t difficult at all and the managers were extremely kind. We are so thankful for the experience and would definitely do it again. Volunteering here has been a life changing experience. From all the conversations I have, I've met people from all walks of life and learning more about Korean culture from a local perspective. I also got the chance to make friends with the other volunteers and also the locals. Kay and Will are the best people… read more that made me feel like home here. 7 weeks in Seoul is the best decision I have made coming to Korea. This cafe is situated in the centre of Seoul where it allows you to travel to other places of interest conveniently. After having a fantastic time here, I decided to head to Seoul and give this place a shot! I absolutely loved it, I made some great friends both with fellow volunteers and with the students. Will and Kay were both very friendly and helpful, and if you ever needed anything they were quick on hand to help you out! The location was fantastic, the… read more accommodation being 2/3 mins away from Yeoksam station and the cafe just a little further. The accommodation was very cozy, with everything you would need as a traveller. Warm shower, washing machine, bread, hot/cold water, ramen and surprisingly comfy beds! The work itself was very straightforward, basically speaking to Koreans in English about whatever you like (within reason) for 4hrs a day, 6x a week. For me the tasks were very enjoyable since I loved getting to know a completely different culture to mine, and gave me a great insight into the lives of people on the opposite side of the globe! 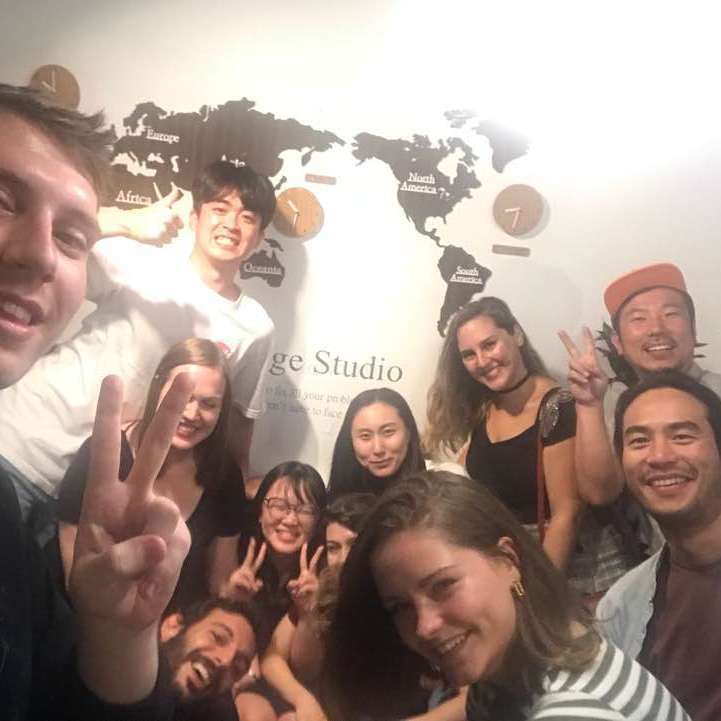 I would recommend this place to anyone who is interested in different cultures, and wants a great hub to explore the fantastic city of Seoul from! I loved discussing about everything and nothing with everyone coming in the studio. While doing your job (talking with them), the students also recommend you places to visit as they are happy to help you around Seoul. Also, since they are regulars, you easily get friends there, and you often go out with them or with the other volunteers. 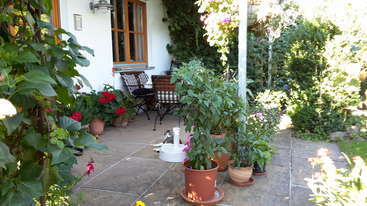 The… read more studio is really well located, close to the subway and directly in the middle of the city. Thank you Will for your kindness and empathy, and Kay for your funny behaviour and professionalism. This is my second placement with you guys, but this time I was with the Seoul cafe as you know. I am a firm believer in the people make… read more the place, and yet again i wasn’t dissapointed, here you get to know and help with around 10 other workawayers which is so much fun and I visited a different part of Seoul with almost every single one of them and we all got close. 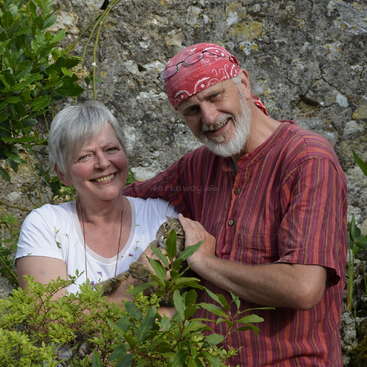 Kay and Will are also veryyyyy friendly and made so much effort in making sure that the new accomodation is as comfortable as possible. You work 4 hours a day with two 15minute breaks and one day off a week. This seems like a lot, but the work is enjoyable and permits you to learn more about korea and korean culture aswell as make friends with the students in the trendy looking café. It was actually nice to have a block of my day planned for me too, Ifelt I did more knowing I had to be back at a certain time so that was great too. And again thank you everyone at Languagd Studio! A brilliant experience to speak with local Koreans and definitely recommend to anyone wanting to experience Korea and meet some great people. That was my second "workaway" experience! So good so far! The atmosphere of the café is great. I made loads of Koreans friends and learned about their lives and culture! I could stay longer. hopefully I'll come back one day! Excelente place for a volunteer. See you soon guys and thanks for all! I had a great time here at the cafe. I had the opportunity to work with alot of amazing people, and also make alot of Korean friends while I was here. I highly recommend this cafe, and would definitely love to come back sometime in the near future! Certainly an unforgettable experience! Great place to meet friends and learn about Korean culture. It is an excellent approach- meeting friends, learning about culture and society through casual conversations. 4 hours talk might sound intimidating, but it actually went by fast. The atmosphere is very relaxed and it gets fun when Korean students… read more are eager to talk. The work hours are relatively short, which allows you some time to explore the city. I also had fabulous time with other workawayers trying out lots of local food! The hosts are kind and fun! Would definitely do it again! The best of my many Workaway experiences. I could never forget my time here, the people I met and the moments we shared will continue to bring me joy in memory for the rest of my life. The "staff" are friendly, communicative, and efficient. A very well run program. I can't wait to go back. See you soon ! Working at the Language Cafe was an amazing experience. it’s a great place to meet lots of people, from locals to international volunteers plus the working hours can go by pretty quickly giving you a good deal of time to checkout the city. I would highly recommend this as a good workaway to warmup with if you’ve never done one before. You’ll… read more certainly have an unforgettable experience and it’s one I’d definitely do again. Had an amazing time with this Workaway program! It's a great concept- meeting friends and learning about Korean culture, history, and society from Koreans of all ages. I made many friends- both Koreans and other volunteers from around the world! 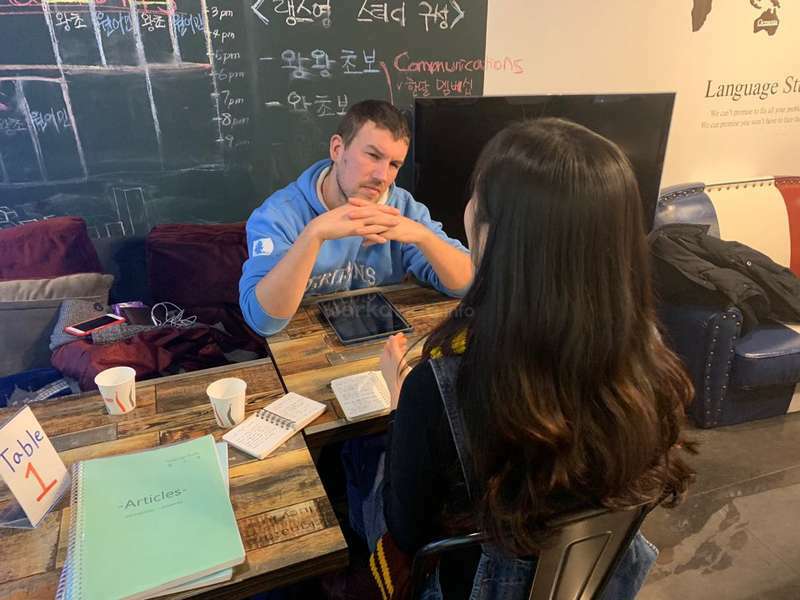 At first, I thought it might be intimidating but the atmosphere is really relaxed and the Korean… read more students are really friendly and appreciative of the practice and help with their English. The volunteer shifts are not that much of a time commitment in my opinion and still leave lots of time to explore the city during the day. Especially since Gangnam (and most of Seoul) come alive at night, you'll get out in time to do lots of activities in the city! Variety of free food provided was appreciated and hosts were wonderful. Would definitely do this Workaway again. Without a doubt one of the best workaway experience I have. I only stayed for 3 weeks but in that short period I learnt so much about the Korean culture and made alot of local friends (and among the other Workawayers as well). The work hours are relatively short and gives you alot of time to explore the city. I had a great time at this café! I met wonderful people had the the opportunity to get to know the city very well thanks to my Korean friends I made while volunteering there. The house is warm and sharing a room with other people has only been a lot of laughs and good memories. 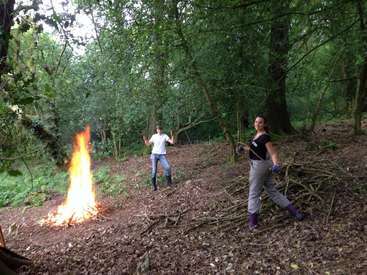 If you want to volunteer at a place where being around people is a big… read more part of your time then this is the perfect place ! Thanks to everyone for the lovely time and see you soon hopefully ! !